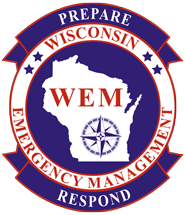 Wisconsin Emergency Management specializes in Hazard Mitigation, Warning & Communications, Emergency Police Services, Emergency Fire Services, Disaster Response & Recovery, Hazardous Materials & EPCRA, Radiological Emergency Preparedness, and Exercise & Training for the State of Wisconsin. Dialing 511 provides you with free real-time travel conditions. Additionally, you can set your own personalized travel profiles to receive travel time and alert information. This link takes you to the National Weather Service site and directly to the Wisconsin Information. This website provides many different types of information relevant to Wisconsin residents and businesses.